Enlightened Pilates is proud to act as the Host Studio for The Pilates Center (TPC) of Boulder Teacher Training Program in Ireland. Called "the Harvard of Pilates teacher training programs" by Pilates Style magazine, these programs cover not only the complete Pilates repertoire on all equipment but also provide the teaching tools necessary to reach and change the body in front of you, from all possible angles. What is a Host Studio? In order to make their teacher training program available to students around the world, the TPC created the Host Studio Program. Trainees are students of the TPC but trained and guided by the selected Host Advisor or Licensed Teacher Trainer of the Host Studio. 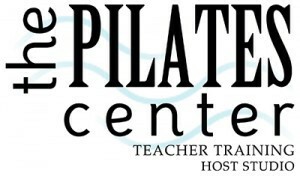 The unique benefit of Enlightened Pilates is that you have two Licensed Teacher Trainers chosen by TPC in Jessy Babin and Susanne Liiri, so you can complete the whole program in Dublin without having to go to Boulder, Colorado. Though we do encourage a visit to TPC as it is a special place and the heart of the program - with 300 days of sunshine, amazing hikes through the Rockies and top notch skiing, Colorado is especially intriguing to us here in Dublin! Have a look at the Program descriptions and feel free to contact Jessy Babin with any questions at 086 721 3539 or info@enlightenedpilates.com.